In a movie –like scene, security operatives on Tuesday evening trailed robbers from Kayunga district before shooting them dead in Kyambogo, along the Kampala- Jinja road as they ambushed a bullion van. Documents recovered from the scene indicated that one of the deceased robbers was Bright Turyatunga and had a Special Forces Command identity card. However, SFC spokesperson, Capt. Jimmy Omara said Turyatunga deserted the force seven years ago and therefore was no longer representing the elite force in his dealings. He said the deceased had been arrested and sentenced to four years imprisonment at Luzira over robbery. “Before meeting his death, he was an operative of ISO and not SFC. He died in his “profession” of robbery,”Capt. Omara said. When contacted for a comment, police spokesperson, Fred Enanga said the operation was carried out by the Internal Security Organisation but said they are still investigating circumstances leading to the shooting. 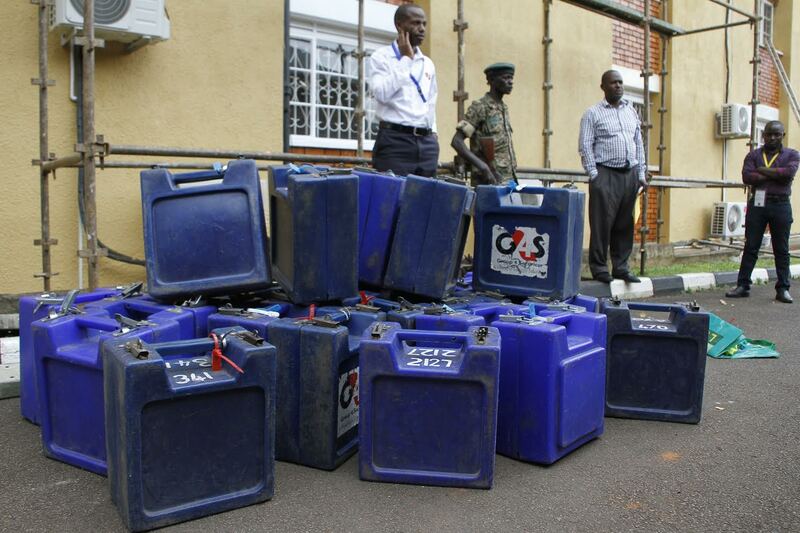 “The little information we have is that the bullion van belonging to Group Four Securicor(G4S) was collecting money from various Stanbic bank headquarters right from Kayunga to Mukono and was headed to the bank headquarters in Kampala,”Enanga said. He told this website that occupants of the bullion van noticed a Toyota Premio reg.no. UAK 790P following them right from Kayunga but the police spokesperson could not clearly know how the ISO operatives got to know of the robbers. Enanga however noted that they have been told that after collecting money from Mukono, the bullion van was headed to Kampala prompting the thugs to use this chance as the van reached Kyambogo to lay an ambush in a bid to rob the money. The boxes containing the money, some of which was stolen. It is here that the ISO operatives sprayed the Toyota Premio with bullets killing the two thugs instantly. “Our(Police) officers only responded to bullets and on arriving at the scene, we found two dead bodies in the Premio whereas G4S security guards lay unconscious after being laced with Chloroform,”Enanga said. The police mouthpiece said they are still talking to the Internal Security Organisation to find out more details of the incident. “Our regional CID at Jinja road police is talking to ISO to find out details because we never found the bullion van at the scene whereas the guns and phones of the robbers were also not found,”Enanga told this website on Wednesday morning. The ISO Director General, Col. Kaka Bagyenda confirmed the incident. “ We carried out the operation and it was successful. Normally, such operations are meant to be handled by police but its nature warranted that we get involved,”Col.Kaka told the Nile Post. He narrated that the intelligence body had got information in regards the robbery two days before it could happen and they kept on monitoring the people involved in it. The vehicle movement log for G4S showed that the van with two occupants including a driver and two guards picked over shs3 billion from both Kayunga and Mukono between 1pm and 3pm before heading for the Stanbic headquarters. According to ISO, the driver of the bullion van laced the two guards with food and drinks containing Chloroform. The vehicle would late embark on its journey to Kampala but made a number of stopovers near Seeta High School, Kazinga and Namboole and every time it stopped, occupants of the Toyota Premio would pick money from the bullion van. 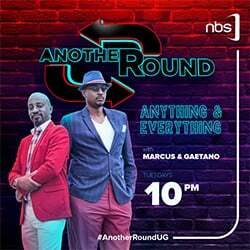 “At Kyambogo where it is dark is where they wanted to get out all the money. We then swung into action killing two robbers whereas three of them including the driver of the bullion van took off. The hunt for them is ongoing,” the ISO Director General told this website. Stanbic bank officials trying to verify the money. 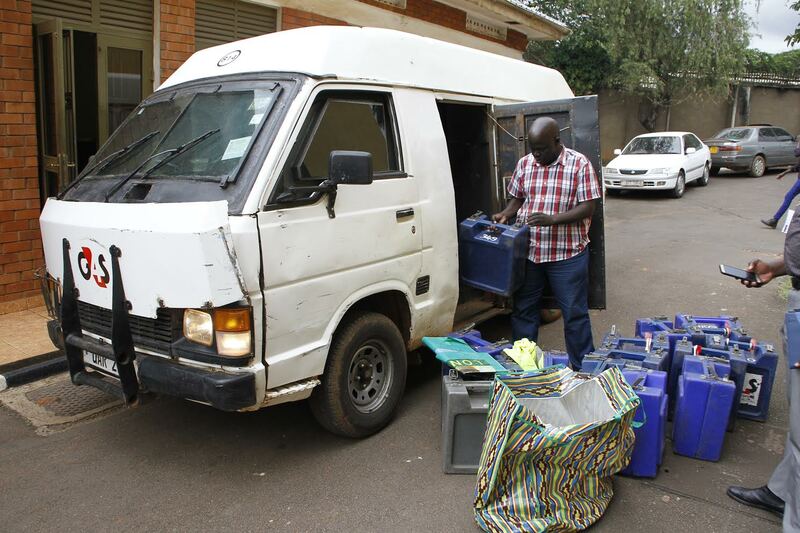 He said the bullion van had later being driven to the ISO headquarters in Nakasero where it was kept. On Wednesday afternoon, teams from Stanbic bank Uganda and G4S Security Company were invited at ISO headquarters to verify the money and receive the van. The team included the in charge of internal controls and the head of security in Stanbic bank whereas the security firm delegation was led by their Managing Director, lawyer, head of finance and the head of cash services. On the ISO side, the function was witnessed by the ISO boss, his deputy, the director in charge of operations and the director in charge of ISO operations in Kampala Metropolitan area. A simple verification exercise done at ISO headquarters indicated that the bullion van contained 26 boxes with currency notes and 9 bags of coins. It was also found out that 16 vehicles were found intact whereas others had been opened but the money was still intact. Some boxes had half of the money taken whereas some had been left completely empty. 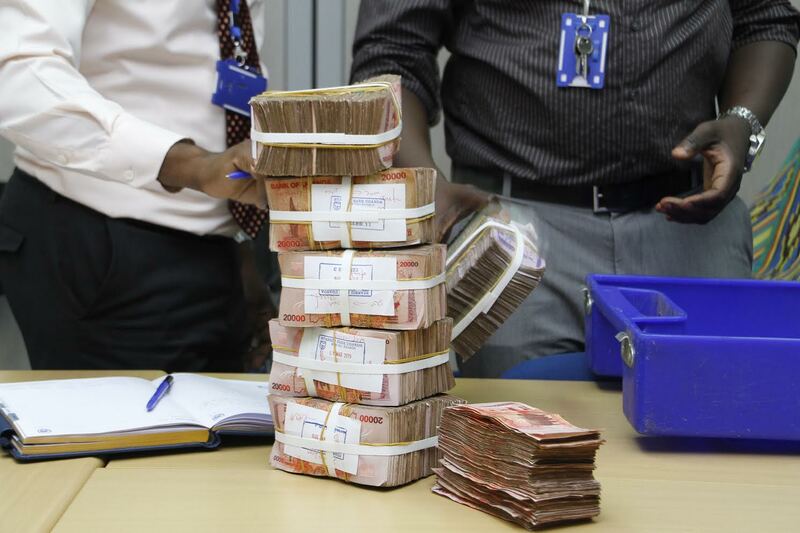 The 9 bags of coins worth shs2.4 million were taken whereas in total a sum of shs600 million was taken. The ISO Director General however warned banks and private firms to always be careful of the staff they recruit. “This should be an eye opener that the criminal gangs are now organized and operate within. There is a high level of infiltration by criminals into private security firms and it has grown to a level that these criminals operate freely in banking halls with bank staff,”Col.Kaka Bagyenda said.